I have been across Canada with the Greyhound bus a couple years ago. I remember taking this picture in the Prairies (Alberta or Saskatchewan) but I don't know in which town. In which town is this mural? Note: I posted it on Flickr and indicated multiple conflicting places, but I have no idea where it really is. 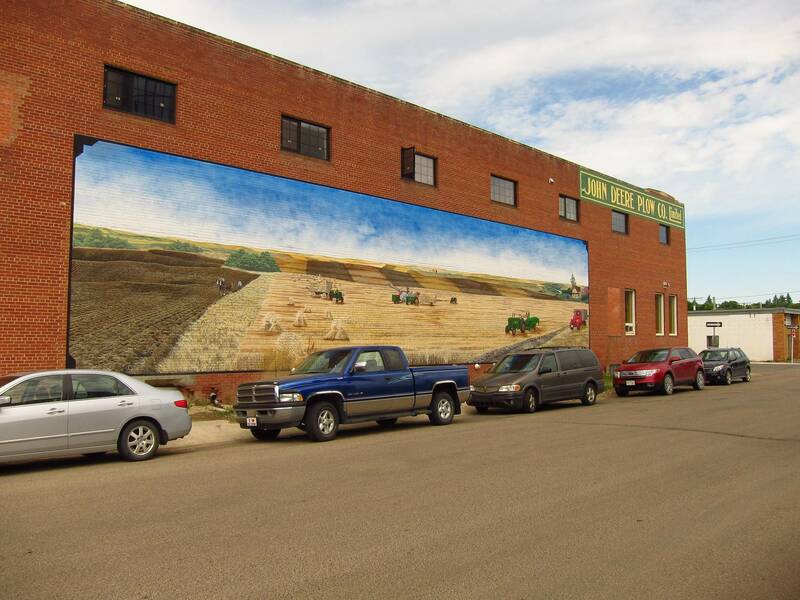 A bit of sleuthing gives me Swift Current, Saskatchewan. Based on this blog post and someone using what seems to be a crop of your photo on this page and this page. Note that the blog post above is not OP's. User pnuts went further and found the actual location in Swift Current. Not the answer you're looking for? Browse other questions tagged canada buses identify-this greyhound or ask your own question.